Tony Haymet, the Director, Scripps Institution of Oceanography, talks to Edie Lush about how environmental issues are presented at Davos, along the road to COP16 in Cancun. Interview filmed at the Hub Culture Pavilion in Davos. Kathy Battista, Director of Sotheby's Institute of Art, talks to Heidi Lee at the Hub Culture Pavilion with SportMax in New York City. She discusses how Sotheby's is keeping track of current trends, and is moving beyond traditional academia. Hub Culture's Edie Lush talks to Jason Mitchell of Hydrotech International about his development work in Africa. Filmed at the Hub Culture Pavilion in Copenhagen during COP15. Hub Culture's Edie Lush talks to Arnold Schwarzenegger, the Governor of California, at the Hub Culture Copenhagen Pavilion during COP15. 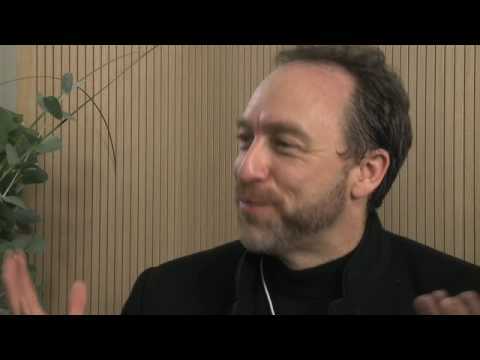 Jimmy Wales, the Founder of Wikipedia and member of the Young Global Leaders, tells Hub Culture's Edie Lush about the global expansion of Wikipedia. Filmed on location at the Hub Culture Pavilion in Davos. Esther Dyson, Chairman of EDventure Holdings, talks to Hub Culture's Edie Lush about health, food, exercise, and the new emerging market for health. Filmed on location at the Hub Culture Pavilion in Davos in January 2010. 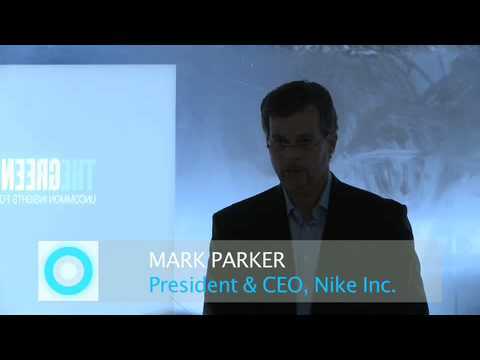 Mark Parker, the President and CEO of Nike, launches the GreenXchange at the Hub Culture Pavilion in Davos. Edie Lush interviews David Kirkpatrick, author of The Facebook Effect: The Inside Story of the Company that is Connecting the World (Simon & Schuster). David discusses the history of Facebook, technology, and the definitive story of an incredible business from its inception into the future. Filmed on location in Davos at the Hub Culture Pavilion. Gregg Araki, the director of KABOOM, talks about the experience of premiering his film at Cannes -- a completely rewarding situation. He describes the movie as sort of a 'bisexual Twin Peaks in college' -- it revolves around a film student names Smith, his sexual adventures, and his possible witnessing of a murder. Sharon Swart of Hub Culture talks with him about his creative process.